Custom Stratford Zippered Padfolio is made from UltraHyde. 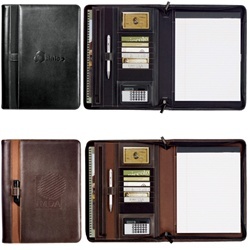 Personalized Zippered Padfolio comes with zippered closure. 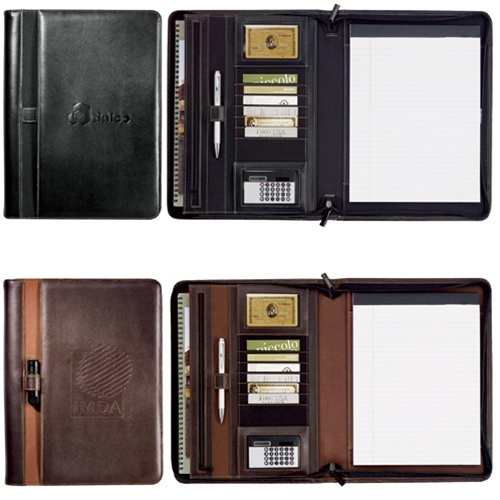 Custom Stratford Zippered Padfolio is available in 2 colors: Black, and Brown.